Today we launched the next iteration of Kernl Analytics. The agency plan has been long in the making and we hope that you enjoy the new insights that you can extract with it. Increased Data Retention – When the agency plan is selected, Kernl will hold on to your analytics data for 90 days (instead of the small plan’s single day). This also means that you can select a day in the past and see your analytics for it. Compare Dates – With the agency plan you can select two dates and compare their data against each other. 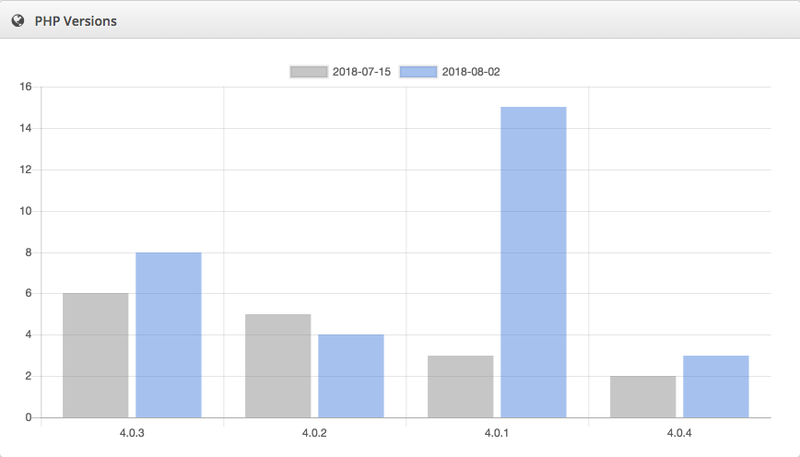 This is extremely useful if you would like to see adoption curves for WordPress versions, PHP versions, and installed versions of your plugin/theme. It allows you to make smart business decisions based on real data. The Kernl Analytics agency plan is now available to all Kernl customers. The fee is $30/month on top of your existing Kernl plan. Reach out to jack@kernl.us if you have any questions!